The tank is set up vertically by the crane and then it will be put on the foundation of prefabricated concrete. Check the perpendicularity of the horizontal plane of cement tank. Weld its leg and embedded parts firmly. The dust removal device should be started before bulk cement truck begins to concrete. Then the powder will be conveyed to the tank by vehicle air compressor. 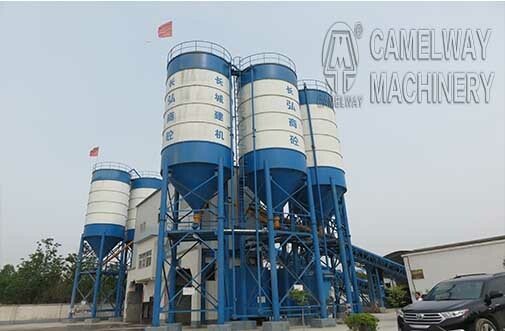 In the process of conveying, the vibrating motor of dust removal should shake off the cement which adheres to the dust removal bag to avoid the bag is blocked and blasts. When screw conveyor has a failure, the butterfly valve should be closed at first in order to prevent the overflow of cement and pollution. 4. The filter element of dust removal should be cleaned regularly to prevent blocking. When the filter element has been cleaned over and over again and it has lost the function of removing dust, we should replace it timely. 5. It is forbidden to strike the landing leg and warehouse strongly. If you have any question, you can contact us at any time, we will try our best to service for you.